Autumn means hearty, warming food and a time to gather friends and family together for a bit of Halloween and Bonfire Night feasting. 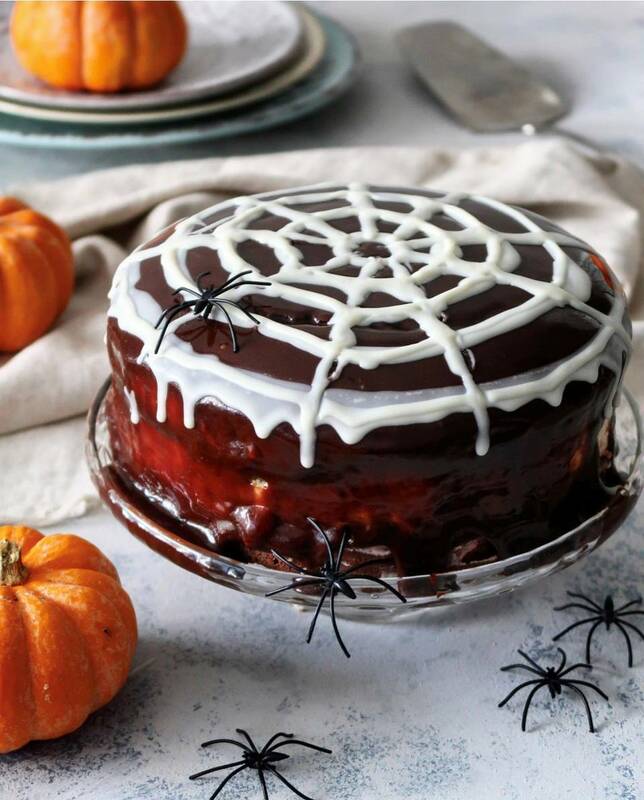 This month Food Stylist and blogger Freda Shafi, has created this Devilish Chocolate Pumpkin Spice Cake, perfect for Halloween celebrations. Freda’s specialises in South Asian cuisine, creating dishes with an exciting variety of deliciously rich and exotic flavours. See more of Freda’s recipes and follow her on Instagram @Fredashafi_spiceitup. 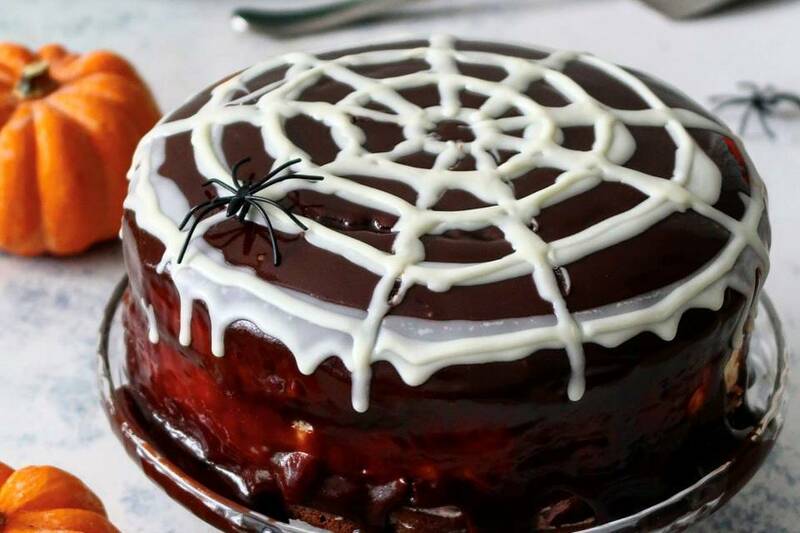 Place all the cake ingredients, except the pumpkin and boiling water, into a large mixing bowl. Using an electric whisk, beat the mixture until smooth and well combined. Add the boiling water to the mixture, and also mix through until smooth. Pour the cake batter between two sandwich tins and bake in the oven for 25–35 minutes, or until the top is firm and a skewer inserted comes out clean. For the chocolate icing, over a low heat warm the chocolate and cream in a saucepan until the chocolate melts. Remove from the heat and whisk the mixture until smooth and thickened. Using the white chocolate icing pen or other white chocolate icing; melt it first and then start to draw a pattern by making several circles over the surface as shown in the photo. Then create lines for the web pattern. Throw on some plastic spiders to freak out your guests!